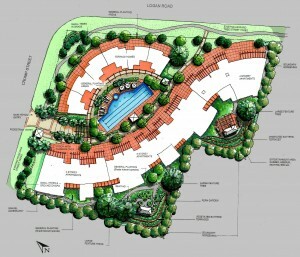 Need help with a landscape design? 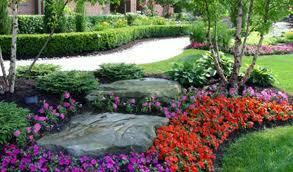 Looking for a quality landscaper or designer? Village Nurseries is here to help. Your Landscape, Your Landscape Contractor Referral Program. Village Nurseries strives to provide you with the best products and services you need to have the landscape of your dreams. For our valued customers Village Nurseries can provide a customized referral program. By completing our customer questionnaire we will be able to focus on your area of need. Whether you are looking for a complete landscape or renovation including landscape design, irrigation, hardscape, planting, tree pruning, lighting or looking to have a few larger items planted, we have the right contractor for the job! Village Nurseries is excited about the relationships we are creating with new and long term customers. 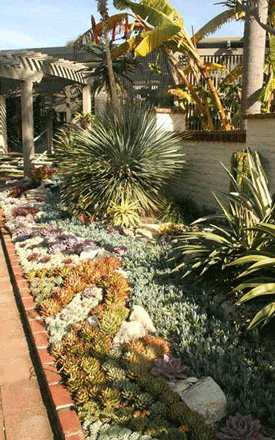 We hope to be your landscape resource for many years to come. Village Nurseries strongly advise you research any company before you sign a contract. Village Nurseries does not guarantee any work or advise given by a referred source. The businesses referred are customers of Village Nurseries and are presented to you as part of our goal of exemplary customer service to assist you with your landscape needs. Again, as with any business transaction, we strongly suggest checking references, licensing and worker's comp insurance before signing a contract or starting a project with any landscaper or contractor.